A Trick #77 is something like a plan B, an ingenious trick, a clever (but usually simple) approach to solve a problem. 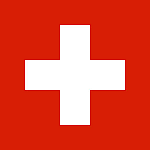 Its origins are unclear but it seems that the term is used only in the German speaking part of Switzerland. It’s most likely a derivation from the more popular German term Trick 17 which is a special game situation in the classic card game of Whist, which was played widely in the 18th and 19th centuries. My name is Jan, welcome to my blog project. Once upon a time, I was looking for a simple and easy way to publish techno-geekish information on the World Wide Web. After trying a few CMS and Wikis I ended up with WordPress mainly because it’s very flexible and has a vast selection of visual themes to choose from. Trick77.com is 100% non-commercial and ads-free. I’m not affiliated with any companies mentioned in my posts. This blog and all information and materials contained herein, is provided to you on an “as is” basis without warranty of any kind either express or implied. I will welcome any comments, even dissenting ones. And I can only promise that I will allow comments be posted on my site, whether dissenting or not, for as long as it conforms to the civilized and ethical way of airing opinions. I may not answer all comments though as this is affected by the availability of my time and my internet connection. This is a DoFollow friendly website. I don’t have a lot of PageRank to give but if you leave a comment that is not too short, the nofollow tag will be automatically omitted and PageRank will be sent to the (optional) URL in your comment header. There’s a plugin installed on this site that sends an e-mail to every subscriber of a post whenever a new comment added to that particular post. Obviously, you will have to provide an e-mail address to receive such notifications. Let me assure you that I won’t use your e-mail address for any other purpose. If you’re still in doubt you could also subscribe to the comments RSS feed that is available in every post.